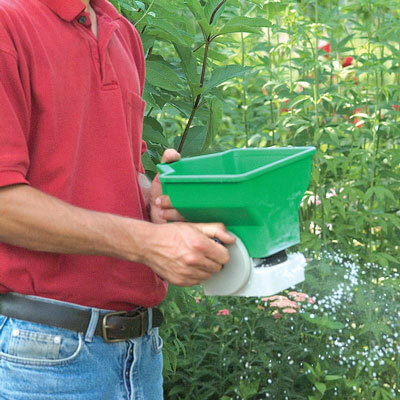 Handheld Broadcast Spreader | Henry Field's Seed & Nursery Co.
Easy Way to Seed, Feed or Weed! The Handheld Broadcast Spreader is a heavy-duty plastic spreader which applies a uniform swath of seed or granular lawn care products. Easy-grip handle, adjustable settings. Holds 3 lbs. grass seed, 6 lbs palletized fertilizer, weed control or mole repellent. For each offer ordered, get 1 Spreader.